Prototyping with Unity can be very intimidating. If you’re at the early stages of design or concept development, these templates will help you quickly visualize your design in VR without spending a lot of time creating individual components and scripts. 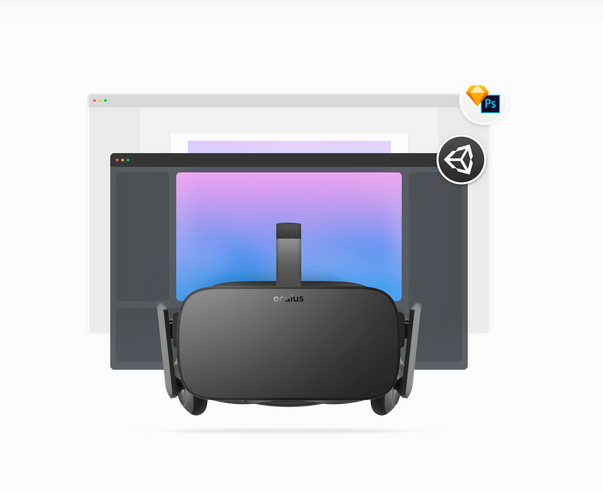 Using this template, you can easily drag and drop your 2D mockups and page through them in VR by using your keyboard or headset controls. Once you are confident in your design direction, you can invest more time on creating interactive prototypes in Unity.